Constantino Xavier is a Fellow in Foreign Policy Studies at Brookings India in New Delhi and the Brookings Institution in Washington DC. He researches on India’s foreign and security policies as a regional power, with a focus on institutions and decision-making processes, and also on relations with Europe. He is currently writing a book on India’s crisis response and involvement in neighboring countries (Nepal, Sri Lanka and Myanmar), and also examining the challenges of connectivity and security across the South Asian and Indian Ocean regions. Xavier’s research also focuses on how India’s democratic values and institutions influence its external engagements and its relations with other democratic powers. 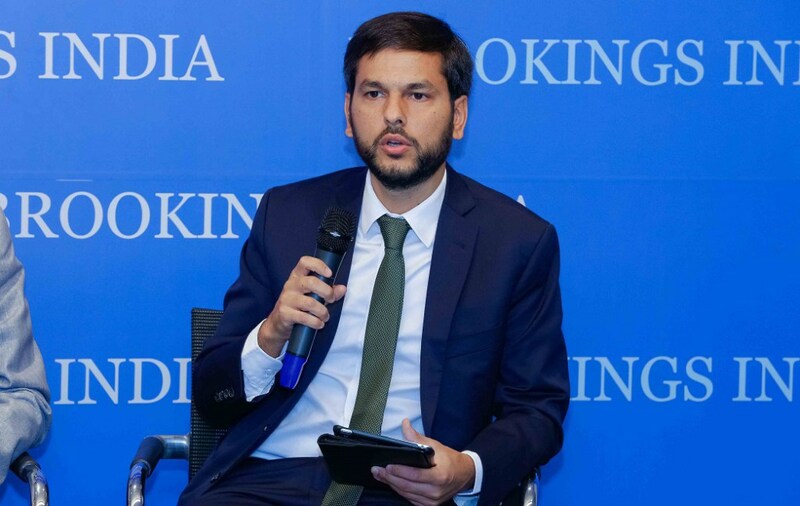 Previously, he worked at the Brookings Institution, in Washington DC, as a media correspondent in South Asia, and as an adviser to the Embassy of Portugal in New Delhi during the presidency of the European Union. He held fellowships at the Institute for Defence Studies and Analyses and the Observer Research Foundation, in New Delhi, and received research awards from the United States Fulbright program and the Indian Council for Cultural Relations. Xavier holds a Ph.D. in South Asian studies from the Johns Hopkins University, School of Advanced International Studies. Contact Constantino Xavier at cxavier@brookingsindia.org. "No illusion that Nepal will pick sides on Indo- Pak dispute," February 22, 2019. "Converting Convergence into Cooperation: The United States and India in South Asia," The National Bureau of Asian Research, January 2019. Book Review: “Modi’s Foreign Policy,” South Asia Economic Journal, May 2018. “Bridging the Bay of Bengal: Toward a Stronger BIMSTEC,” Carnegie India paper, Feb. 2018. “India’s “Like-Minded” Partnerships to Counter China in South Asia,” India in Transition, Center for the Advanced Study of India, Unversity of Pennsylvania, Sept. 11, 2017. “How Nepal and India can keep their relationship special,” The Wire, August 25, 2017. “Responding first as a leading power,” Ministry of External Affairs (various publishers worldwide), August 15, 2017. Global Governance, Security, and Strategy in the EU-India Partnership, Co-edited with Garima Mohan, Berlin: Global Public Policy Institute, April 2017. “Brussels and Delhi: Converging Interests in the Indian Ocean,” Policy brief co-authored with Darshana M. Baruah, Berlin: Global Public Policy Institute, March, 2017. “Bringing the Diaspora Home: India’s Expatriate Evacuation Operations,” Carnegie India paper, Jan. 2017. Experimenting with Diasporic Incorporation: The Overseas Citizenship of India. Nationalism and Ethnic Politics, 2011, 17(1): 34-53. “No illusion that Nepal will pick sides on Indo- Pak dispute,” February 22, 2019. “Converting Convergence into Cooperation: The United States and India in South Asia,” The National Bureau of Asian Research, January 2019.